The Wonderbros attended the live Smodcast and Tell 'Em Steve-Dave event on Thursday, July 29th at the Alamo Drafthouse, Houston, TX. Podcasters included Kevin Smith, Scott Mosier, Walt Flanagan, Bryan Johnson and Brian Quinn. 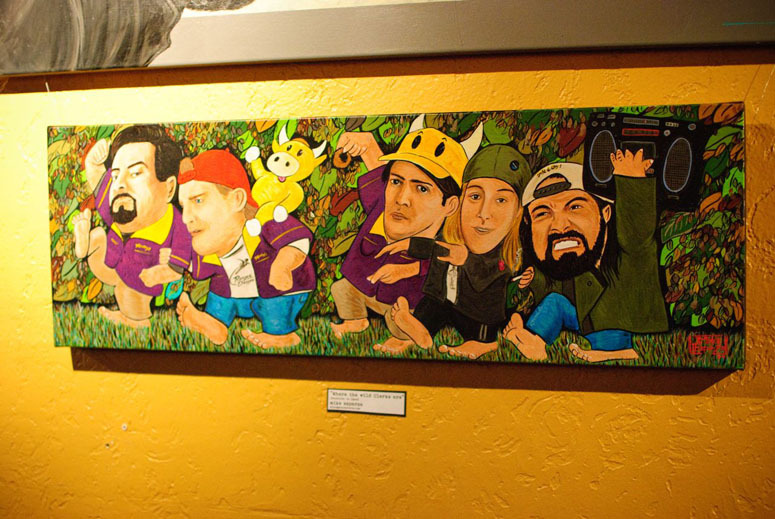 A Kevin Smith themed art show was also featured with works by some very talented artist and Wonderbro, Mike Esparza. We would like to thank everyone at the Alamo Drafthouse for putting on another great event. Thank you to Kevin and Scott for making us laugh. And a very special THANKS to the guys with Tell 'Em Steve-Dave: Bryan, Walt and Brian for being so awesome. You guys really made the evening unforgettable. View photos of the art and event here.